What better way to settle this North versus South dispute once and for all than through food? People from the North often complain about how there are not enough spots to hang out in or eat at in the South—or at least, someplace that’s worth the trip. Whether that’s out of lack of willingness or a proven fact is debatable. If you’re from the South, on the other hand, you know of course this is not true. So as a well-meaning Southerner, it is your responsibility to reintroduce your Northerner folks to the Big Sur. To help you get started on your quest to convince your friends that the South is indeed better than the North, here are some food places you could invite them to. Because really, there’s no disagreement good food cannot resolve. Loco Manuk is Poblacion’s newest resident serving Latin-Asian fusion cuisine like baos, ribs, churros, and their specialty chicken cooked over caimito and mahogany wood fire. Hiding at the Antel Corporate Center in Salcedo is a new restaurant called Sup? 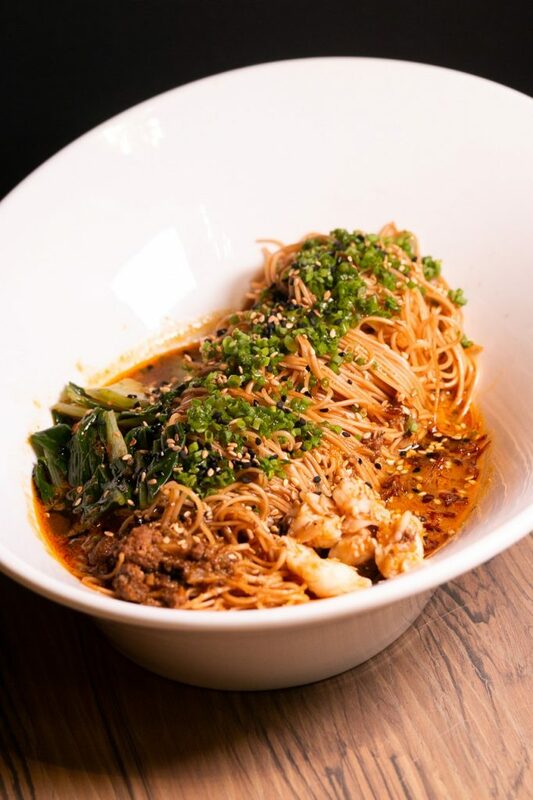 Chow whose menu highlights modern Asian cuisine with a focus on noodle dishes with a twist, like their soupless version of the Tantanmen ramen called Tan Tan Misua. 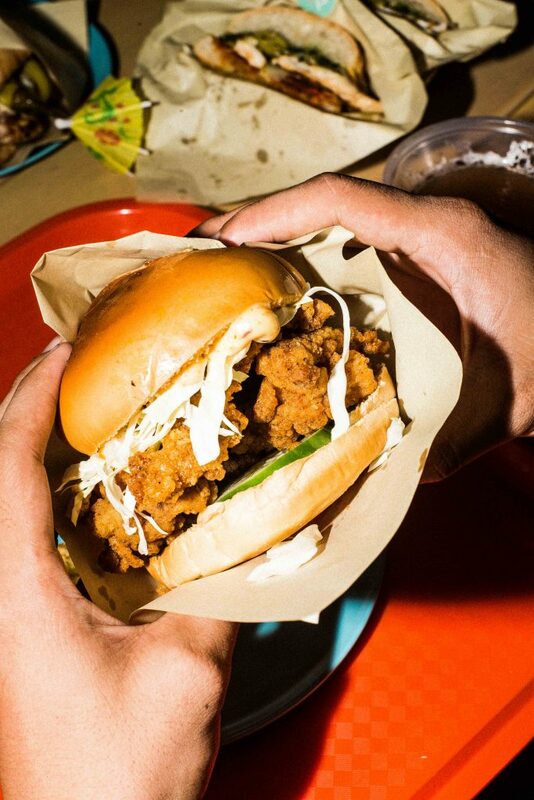 Among many other food and lifestyle stalls at The Alley at Karrivin lies a new grab-and-go shack that serves easy chicken sandwiches and bites along with a selection of alcoholic slushies and below zero draft beer. Margarita Fores’ new concept is far from her usual Italian and Spanish restaurants. This time it mixes Filipino food and tourism in a food court style venue complete with installations of heritage sites like the rice terraces. Deriving its name from the French word which translates to star, Poblacion’s newest occupant is a hybrid between a cafe and a bar, where diners can expect French cuisine consists of an array of mains, entrees, and surprisingly, decadent finger food like this caviar pie with chips to go with their cocktails.